Many more masses have been found in a glacial moraine since the first discovery of a single meteorite in 1906 by Mr. Carl Henriksson. 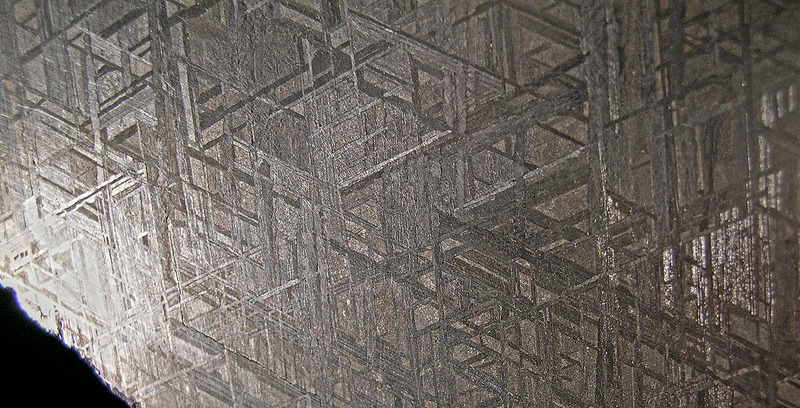 Muonionalusta is known for its striking Widmannstätten pattern. 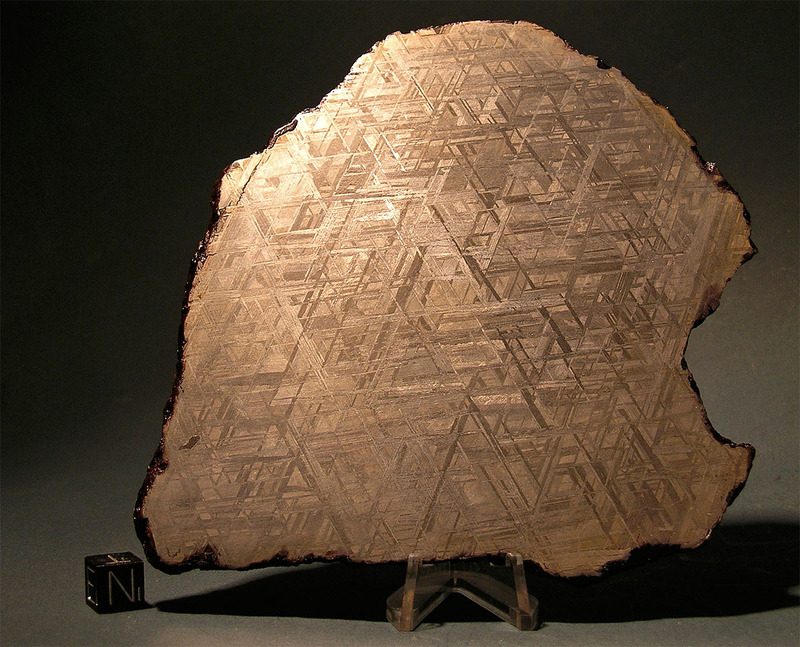 Because of the chloride-rich soil the Muonionalusta meteorites are recovered from, the iron tends to rust, usually from the edges towards the centre. This fullslice was kept for several weeks in an acetone bath and neutralized with an NaOH bath after the etching process. It remains fairly stable since.